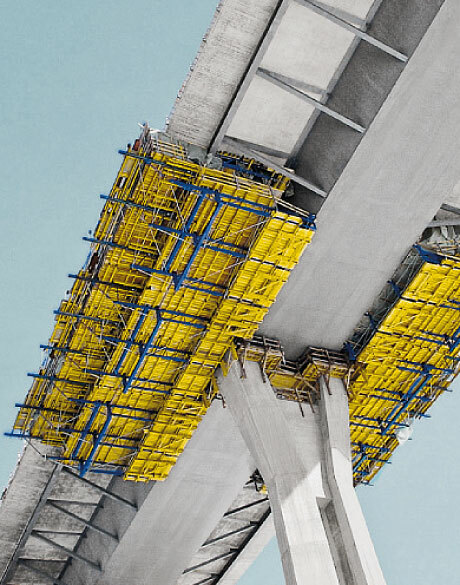 The Doka composite forming carriage scores top marks for its huge versatility, the speed with which it can be assembled from rentable standard components, and its high level of workplace safety. 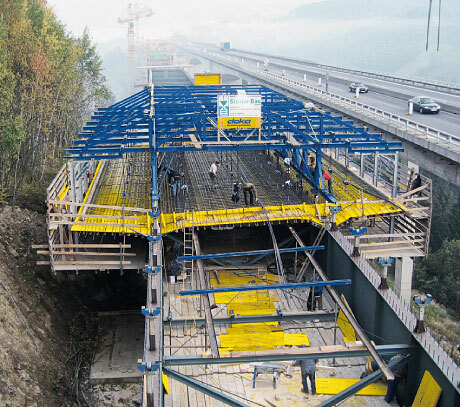 The 28 casting sections for the carriageway slabs of the Vesterstraumen and Austerstraumen Bridges were poured using two composite forming carriages in an irregular "back-step" sequence. The weekly cycle achieved here made it possible to complete the project on time. 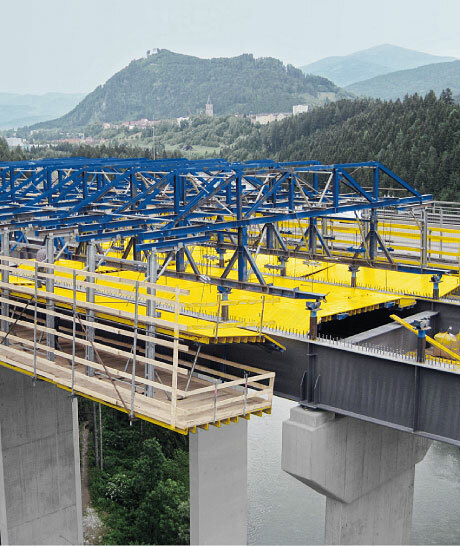 In the longitudinal direction of the bridge, the increment-grid of the Doka composite forming carriage is dictated by a 16 1/2 ft. long and 6 1/2 ft. high longitudinal girder. 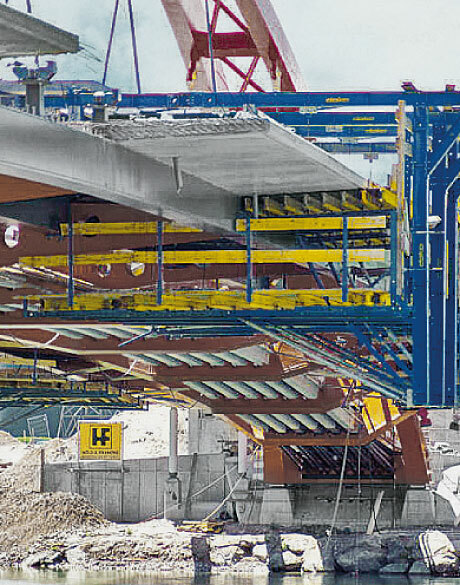 In the transverse direction, two transverse frameworks joined by an adjustment zone (compensation girders) permit any desired dimension. 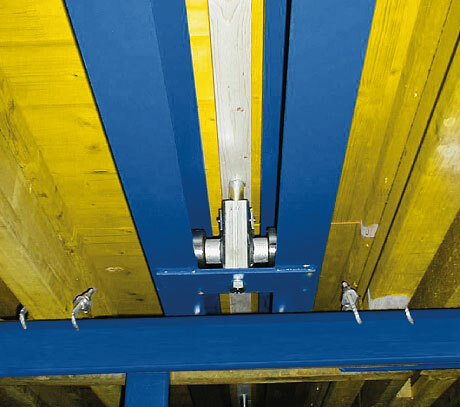 The adjustable spindle struts, and the large number of bolting positions in the steel girders, together make for optimum adaptability of the composite forming carriage. 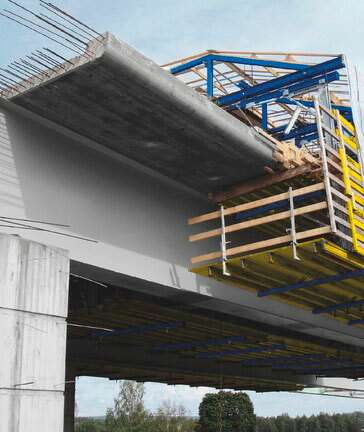 With its suspended finishing-work platform levels, the Doka composite forming carriage provides a high standard of safety. 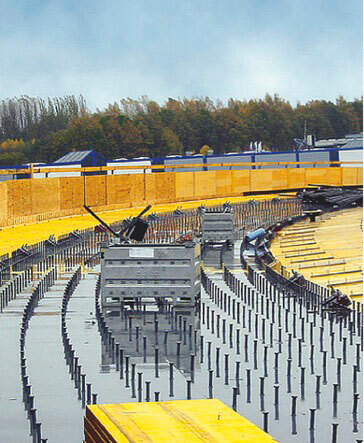 Only a few extra scaffolding tubes are needed to create the ideal framework for an all-round enclosure. 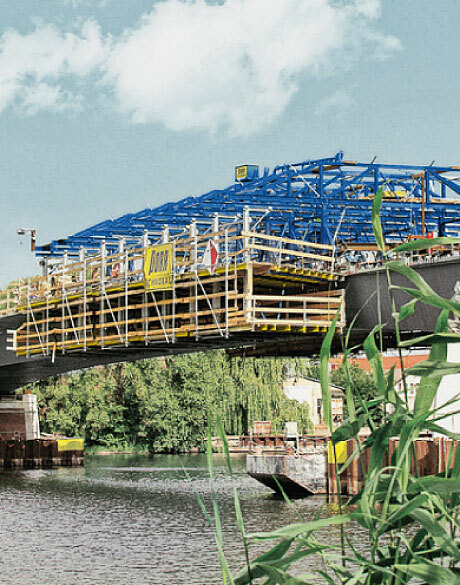 For shorter superstructures and medium-length bridges involving only a few repositioning cycles, a crane-shiftable formwork is available.